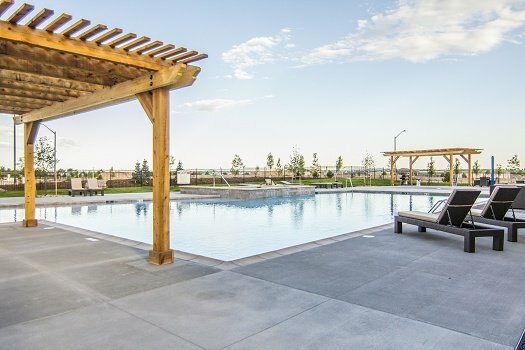 Kechter Farm is a new construction neighborhood located in Southeast Fort Collins. Homes in Kechter Farm are built by the national builder Toll Brothers. I have recently sold a couple of homes in here and it was a very pleasant process. My buyer’s were smart, they contacted me before they decided to go looking at the model homes. This way I could register them and help them with the whole new construction process. Even if you do decide to go look at the model homes on your own you can still tell them you are working with a real estate agent, me! And it’s free, so why wouldn’t you do it? There are many models to choose from and many different price points. It is a high-end neighborhood so the base home is in the mid $400,000’s. There are mountain and water views as well. Please remember on new construction once you start looking at upgrades the prices can start to up pretty quickly. You need to budget for this. The rule of thumb is to budget about 20% of the base price for upgrades. This neighborhood has an awesome resort style pool, park and gym. Homeowners are creating a nice community there. They have started a book club and a bunco group as well. The elementary school this neighborhood feeds into is Bacon Elementary School. The middle school it feeds into is Preston Middle School. And the high school is Fossil Ridge High School. There is no Metro Taxes and the HOA fees are pretty low for what you get. rvices are no cost to the buyer. They offer several different models for different budgets and lifestyles, including The Estates, The Enclave, The Preserve, and The Retreat at Kechter Farm. Call Allison Klein – Fort Collins Real Estate today!